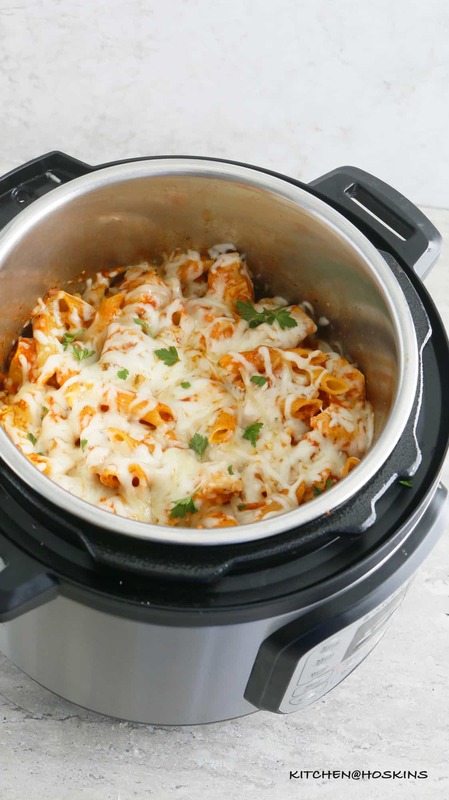 This Instant Pot chicken parmesan pasta recipe is an easy weeknight dinner recipe. All the flavors of classic chicken parmesan made into a one pot, comforting meal. Easiest clean up! 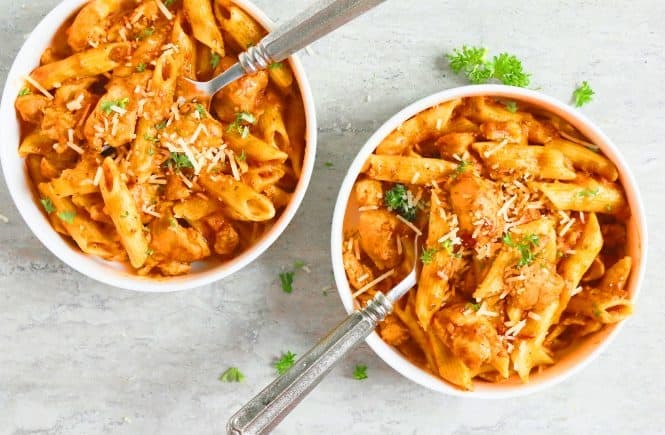 Commute, homework, basket ball, guitar lessons… Instant pot chicken pasta recipes are such a life saver on week nights. I love my Instant pot so much, that I have 2 different sizes and use it at least 5 days in a week. 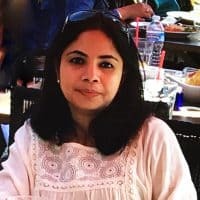 Click here for more Instant pot recipes. 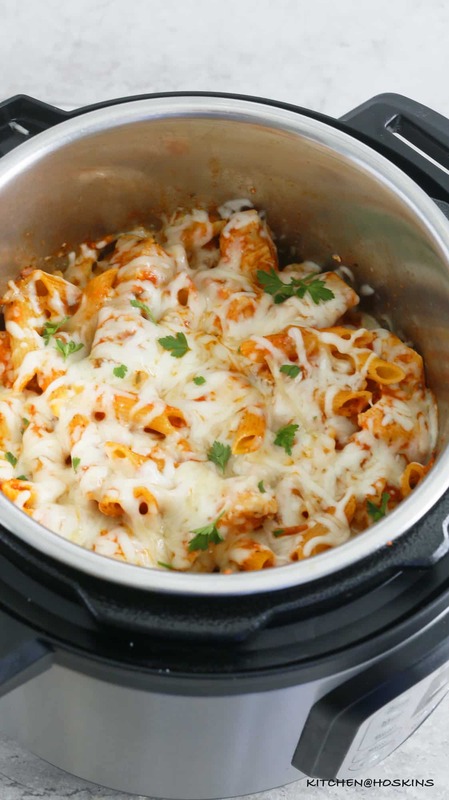 This is an easy instant pot chicken parmesan recipe with the addition of pasta. 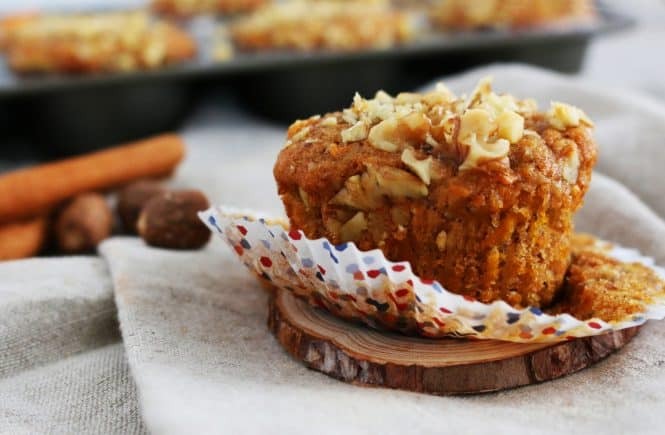 A meal that is often requested by the kiddos and has become a reader favorite. Chicken parmesan is such a classic dish with breaded chicken cutlets topped with tomato sauce, mozzarella and parmesan cheeses. Juicy chicken with a crisp coating and the tomato sauce plus warm melted cheese…..D-E-L-I-S-H. It is fabulous as is for dinner with some veggies and garlic bread or also great made into sandwiches as well. 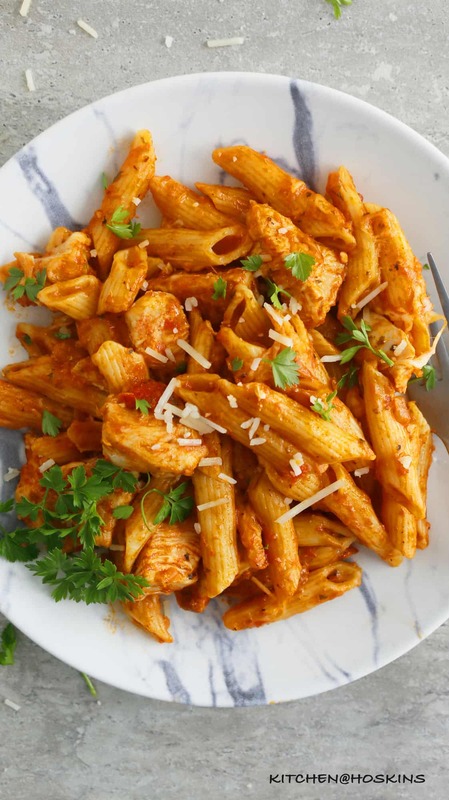 I love to enjoy baked chicken parmesan pasta in restaurants or make it over the weekends. Whereas, weekdays calls for easy, quick meals. Enter this instant pot chicken parm! 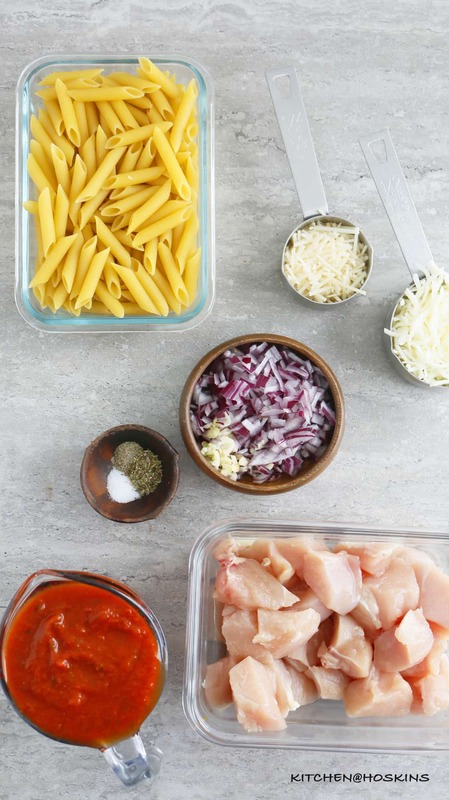 Chicken – You could use both boneless skinless chicken thighs or breasts for this Italian chicken pasta recipe. My choice is always chicken thighs – they are juicy, super tender and the additional fat flavors the pasta and makes it even more delicious. Check out this Crispy Popcorn Chicken. Cheese – We are going with the classic, so it is strictly mozzarella and parmesan. Flavorings – Italian seasoning, salt and pepper. Love to make chicken parmesan in Instant pot without the carbs? 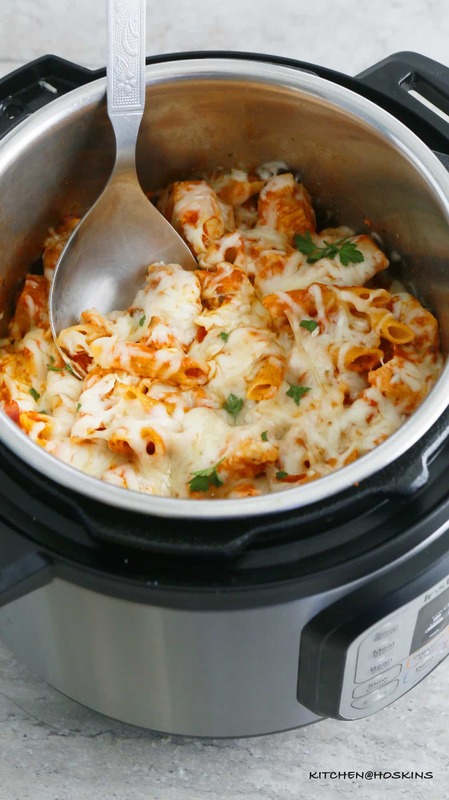 Check out this Instant Pot Chicken Parmesan that is great as is or made into sandwiches. 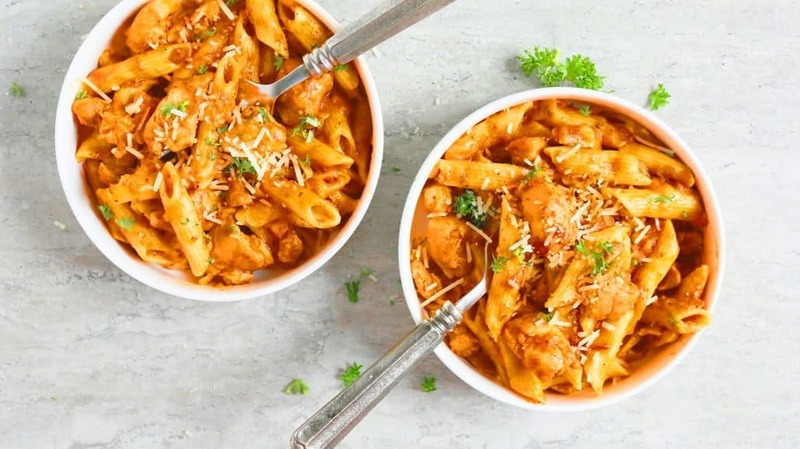 Why are you going to love this Instant pot chicken pasta recipe ? All good things here. Pasta. Chicken. 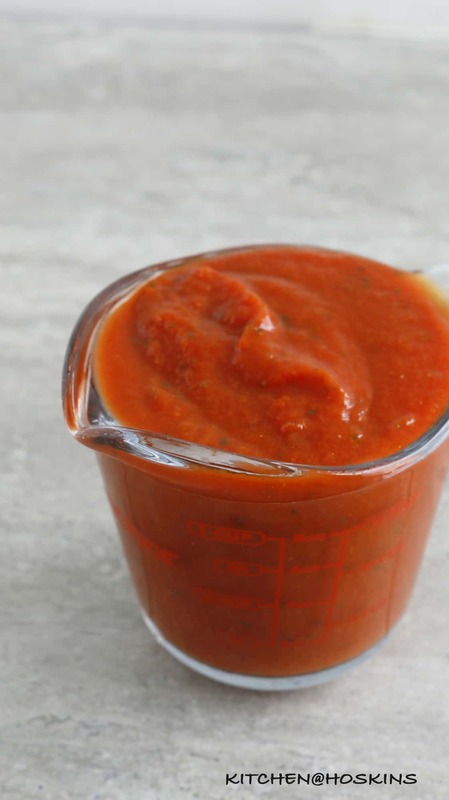 Tomato sauce. Cheese. How can you go wrong? 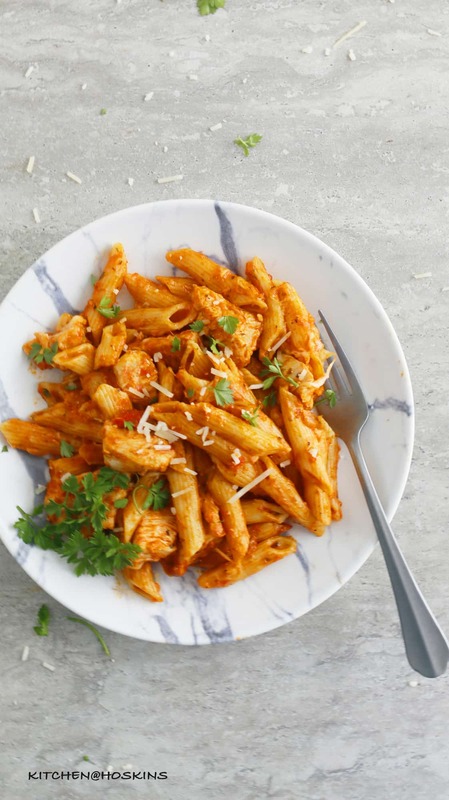 How to make Instant pot chicken parmesan pasta? Step-1: Heat Instant pot to saute. Saute onion and garlic in some olive oil when hot. Step-2: Add chicken and continue to saute for additional two minutes. Step-3: Cancel Instant pot, stir in pasta, marinara sauce, water, salt, pepper and Italian seasoning. Pressure cook for 7 minutes and then in warm for 10 minutes. Step-4: Release pressure, open lid, sprinkle both cheeses, close lid for about 2 minutes to melt cheese. Give a good stir and serve. Super easy chicken parmesan for the win! Easy Instant Pot Cashew Chicken – No added oil! Skip takeout and make this easy instant pot cashew chicken for a quick weeknight dinner or meal prep for the week. Simply serve over plain white or brown rice. Instant Pot Chicken and Kale Curry – Everyones favorite chicken curry, but made even easier in an Instant Pot and healthier with kale. This Instant Pot chicken and kale curry is an ultimate bowl of comfort food with rice or any type of flatbread. Baked Chicken Meatballs with Cauliflower & Carrots – Loaded with ground chicken, cauliflower, carrot and mozzarella, these healthyish baked chicken meatballs are tender, soft, flavorful and perfect as is or made into appetizers, sandwiches, spaghetti and much more. Instant Pot Chicken Fried Rice – Chinese take-out right in your Instant pot. Packed with chunks of tender chicken, scrambled eggs, carrots and peas, this Instant pot chicken fried rice is easier and healthier. No more take-outs!!! Baked Barbecue Chicken Meatballs with Avocado – Incredible chicken meatballs baked in muffin tin!! Moist, saucy, easy and delicious baked barbecue chicken meatballs with avocado are easy enough for weeknight dinner and great for meal prep. 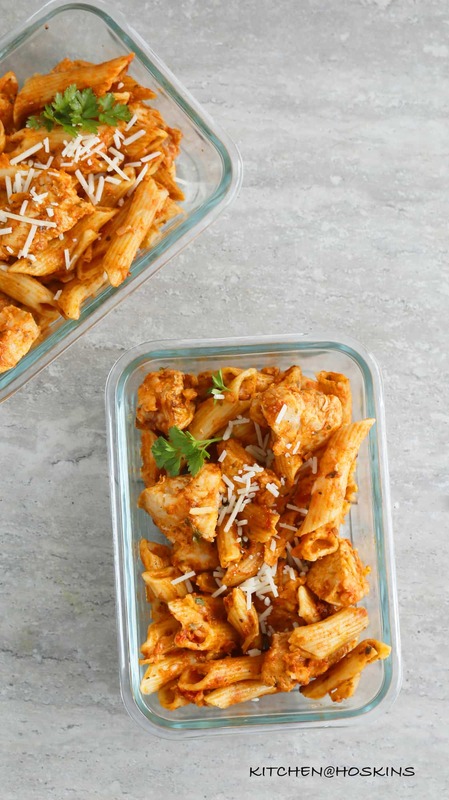 This Instant Pot chicken parmesan pasta recipe is an easy go-to weeknight dinner. All the flavors of classic chicken parmesan made into a one pot, comforting meal. Set Instant pot to saute setting. When hot, add olive oil and then chopped onion and garlic. Cook, stirring frequently for 1 minute. Add chicken pieces and cook, stirring frequently for 2 minutes. Press cancel and then add marinara sauce, water, pasta, Italian seasoning, salt and ground pepper. Stir well. Close and lock lid (making sure that valve is set to sealing). Select manual setting (or pressure cooker) for 7 minutes. After 7 minutes, let Instant pot in the warm mode for 10 minutes. Turn valve to venting to release pressure. Open lid, sprinkle both cheeses, close lid and let cheese melt for one minute. 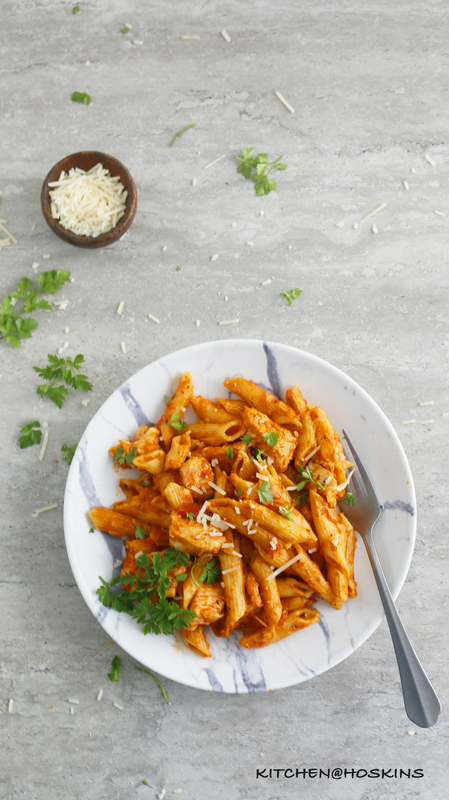 Open Instant pot, stir to mix in melted cheese and serve Instant pot chicken parmesan pasta hot with chopped parsley or basil. 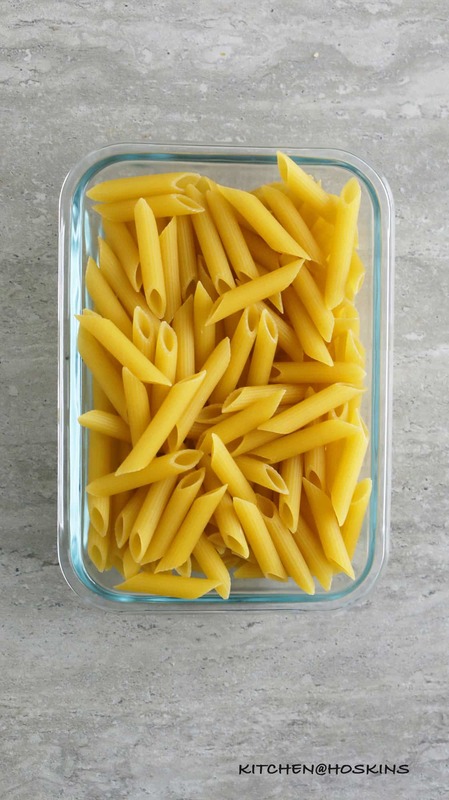 If you'd like your pasta al dente then use only 3/4 cup water. Salt depends on the type of marinara sauce used and your taste preference. I used Prego (tomato, basil , garlic) sauce and used 3/4 teaspoon salt. 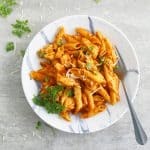 Chicken breasts - I prefer only boneless, skinless chicken thighs for this Instant Pot Chicken Parmesan Pasta recipe, but you could easily sub with 1 to 2 boneless, skinless chicken breasts instead. I love when I have a yummy dinner on the table in the least possible amount of time..I love it more when I have less dishes to was :). 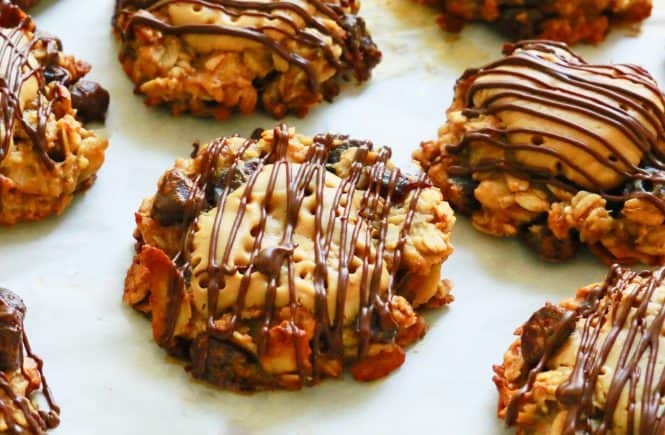 Bookmarking this amazing recipe for those days Maria!! The Pasta looks too good! Made it. Love it. Great recipe. Thank you!!!! I don’t have an instant pot but I do have a crockpot. Would this still turn out okay with the crockpot? I have no experience with a crockpot, so I’m very sorry that I can’t be of much help to you. How would you change this if you wanted to increase the number of servings? I would like to use 12.5 oz of pasta and ~2 pounds of chicken. I made this with the increased measurements. It turned out very good, but I would use the entire bottle of Marinara (24 oz) next time, also I did use the 1 1/2 cups water, but the pasta was al dente and I like it more tender so next time I will increase the water by 1/4 cup. Also I had chicken tenders. I used 8 (I think), maybe this was more meat than 4-5 thighs, that may be why I needed more marinara sauce. Over all, a great recipe, thank you! Quick and tasty little dish worked out very well – I used spelt pasta and tomato pasata just added extra garlic and oinion to flavour up. Also had no parma cheese so went the stretchy option of mozzarella. Is the setting for 7 minutes in lower or high pressure? Any thoughts on doing this with frozen chicken? Hi Kate, sorry I didn’t understand. Do you mean frozen, raw chicken or frozen cooked chicken nuggets/chicken fingers ?? I’m so happy I found this recipe! Loved it. I added fresh mushrooms to mine. WOW I am so impressed with this recipe. It came out perfect! The chicken was very tender and nothing stuck to the bottom of the pan. My company loved it! I used 2/3 cup water and pasta cooked absolutely perfect! When do you cook the pasta. I’m sorry, I’m new to the instant pot and didn’t see when to put it in. Maybe I missed it? Could I use chicken breast cut up instead of thighs? I could not decide on what to make for dinner, and it was getting late….so, I stumbled upon your recipe on Pinterest and I tried it. I haven’t cooked pasta in my instant pot yet so I was nervous. I used chicken breasts because that is what I had defrosted. I followed the recipe and the flavor was awesome. I have one question… I used rigatoni noodles because that was all I had and I used 1 cup of water and 1 1/4cups of sauce…..some of my noodles were a little hard on the edges….could this be because the noodles are a little bigger than penne? Should I have used more water or smaller pasta? Or, is this how pasta comes out? 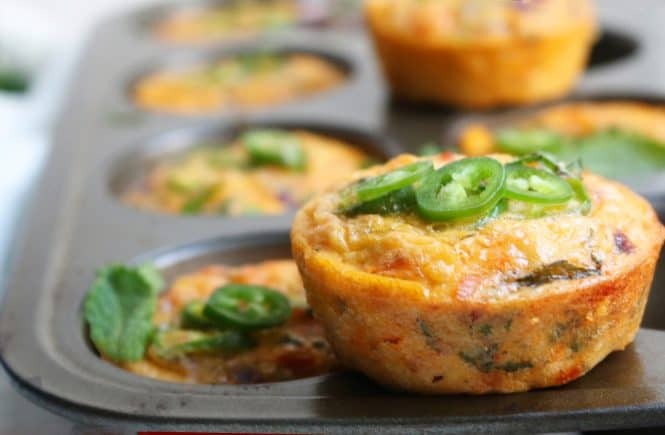 The flavor was awesome and so convenient only using one pot! Thanks! Am i suppose to let it naturally release pressure for 10 minutes? Then quick release any pressure afterwards? If I double the recipe, how does that affect the cooking time? Best ever so easy no hassle. Tastes great. I have an 8 quart instant pot and we doubled the recipe. I brownen the chicken in 2 batches. I then placed all the ingredients into the instant pot and set the appropriate time. However, I never could get the instant pot up to pressure because it kept going in to burn. Each time I would open it up and stir it up and make sure that the bottom was clear. After the third time I checked the noodles and they seemed to be tender and chicken was done so we ate it. It tasted really good but there was a lot of burnt food (I’m guessing pasta) stuck to the bottom of the pot. Any ideas how I could avoid the burn issue in the future? After saute, all other recipes remind me to scrape the bits off the bottom. I don’t know why I didn’t detect the burned parts on the bottom when I was stirring in the pasta and sauce. I did a pressure release, scraped the bottom with the contents in the pot, until I couldn’t feel the bumps. This is the same as I’ve done when deglazing by removing the contents and deglazing with broth, except that I could see what I was doing. I added another 1/2 cup of water, and tried again. I transferred the contents to a different pot. There was quite a bit of pasta burned to the bottom of the Instant Pot. Some WebWisdom about “burn” said to not mix pasta all the way to the bottom. Another recipe for “Hamburger Helper” said not to stir in the pasta, but just press it into the top of the sauce. It turned out fine. I figured with two heat-up cycles, it was cooked as well as it needed to be. I will try it again, but making sure that the bottom is free of burnt bits after sauteing the chicken, and I won’t stir the past in, just press it in. Do you have a water to pasta ratio for long noodles, like vermicelli (thinner than Spaghetti, thicker than Angel Hair)? I am making this tonight, looks delicious!! Thank u for recipe!! Hope you liked it Kristy.